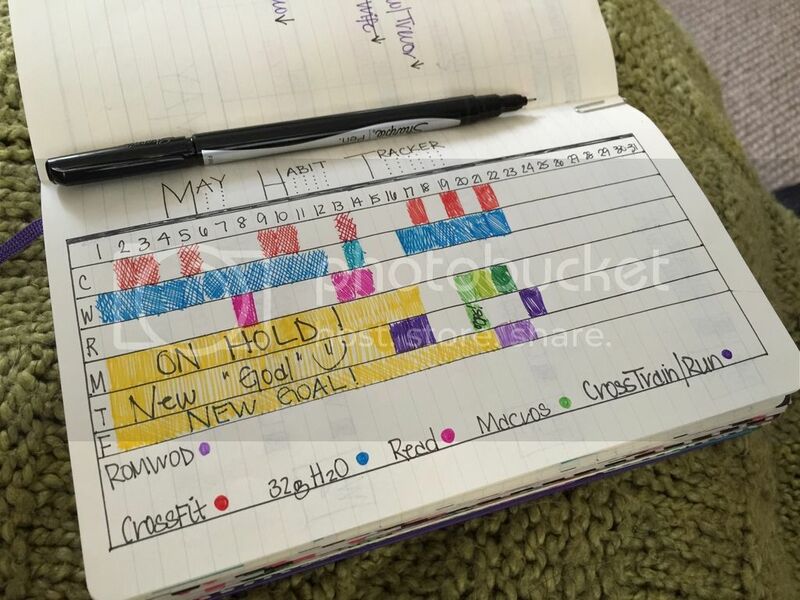 One night while traveling down the rabbit hole of Youtube videos, I stumbled upon a whole slew of videos about bullet journals and bullet journaling. 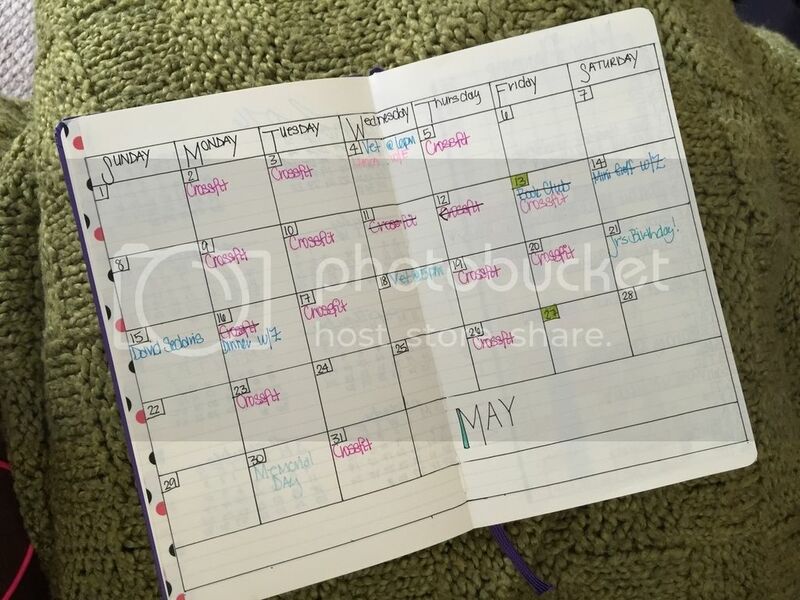 As a self-proclaimed “journal junkie” and as someone who struggles with finding the "perfect planner", I totally got sucked into the concept of a customized journal/day/life planner and spent way too many hours looking at Pinterest boards and blog posts about bullet journals. After some deliberation over whether or not I really want to spend that much time setting one up, I bit the bullet (no pun intended) and decided take the plunge and put one together. 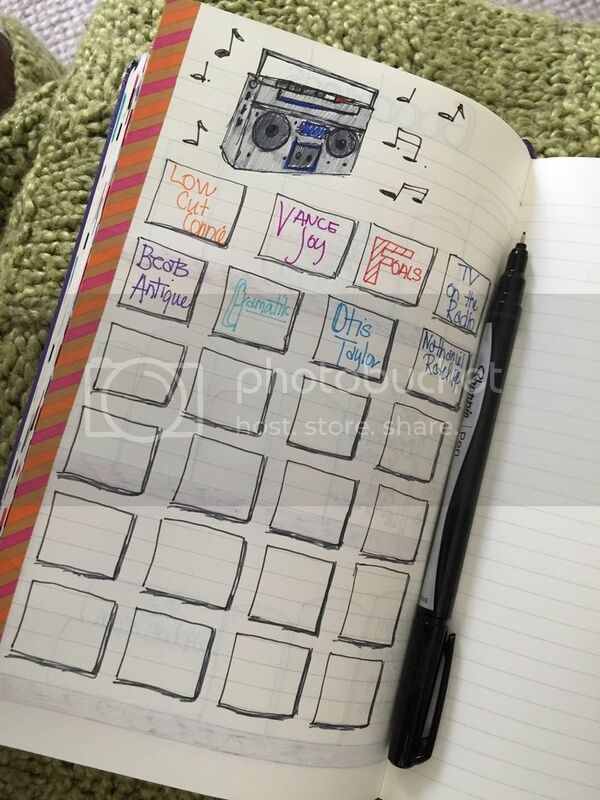 I originally grabbed an old Piccadilly journal I had laying around and went to town on my own version! But after putting it together and realizing I could "make it better! 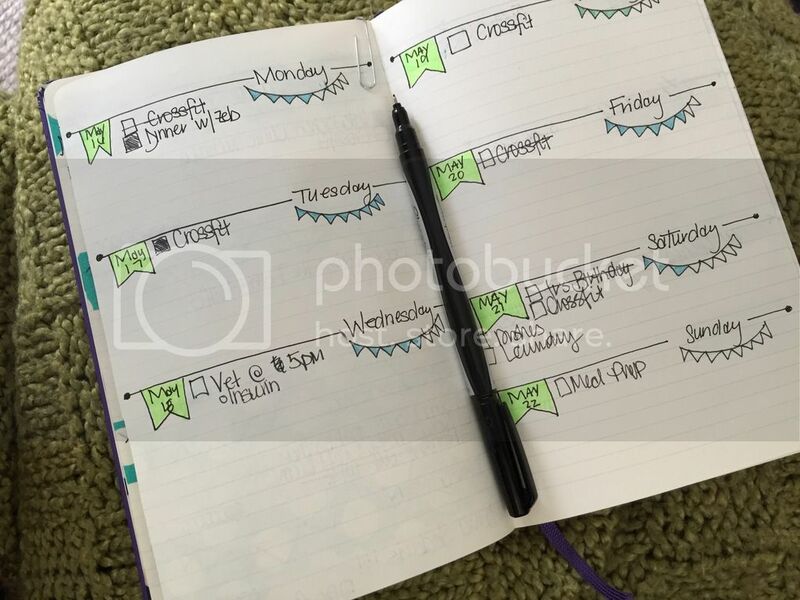 ", I ended up buying a brand, spanking new Moleskine notebook for my journal (the fact that I didn't just have one laying about the house was SHOCKING to me). Unlike a regular bullet journal, I’m pretty OCD and had to have mine set up in sections right from the word go. I didn’t want to have to worry about making an index and numbering pages to try and find things. I wanted to know where things were right from the beginning. And to make sure I knew where each sections starts and begins, I added washi tape to the end of pages. 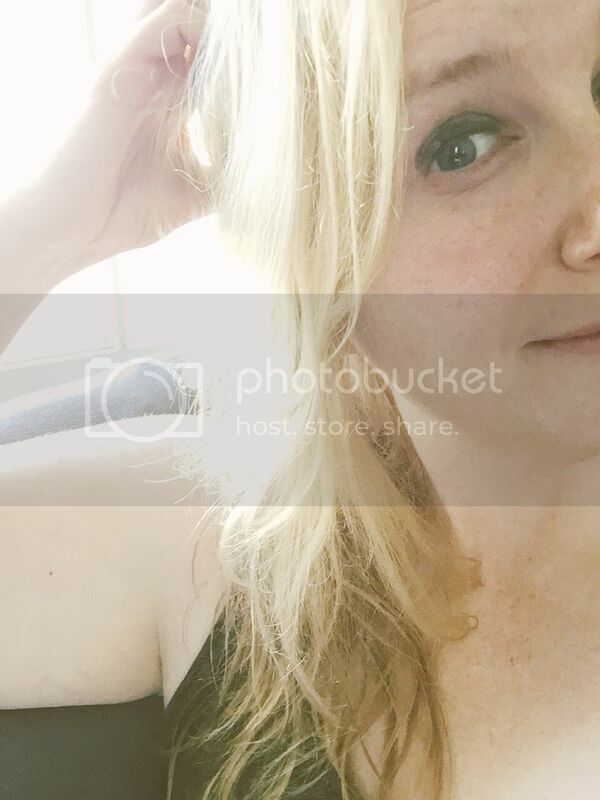 --no photo because it's a total mess AND not ready to give away some of my blog ideas because even though it's May most of them are moving to June. The struggle is real y'all. 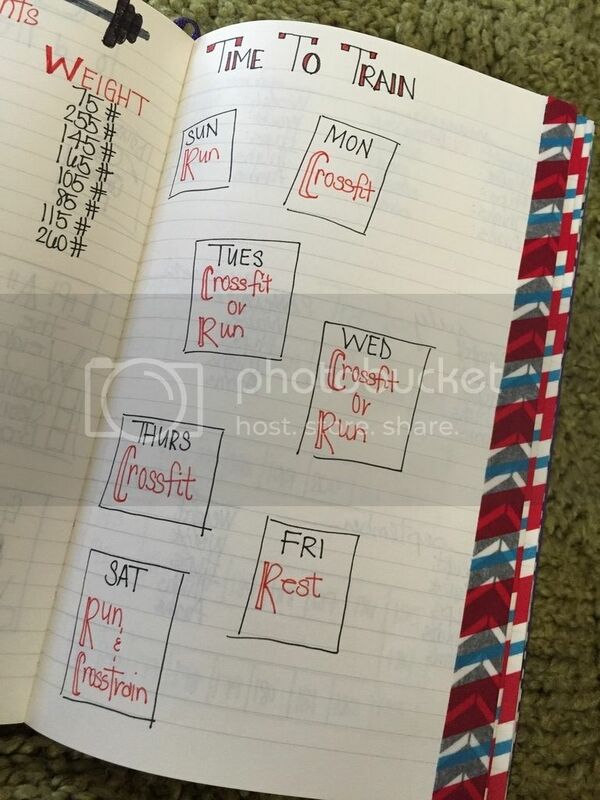 Weekly Layout: A place to write daily appointments, to-do items, etc. 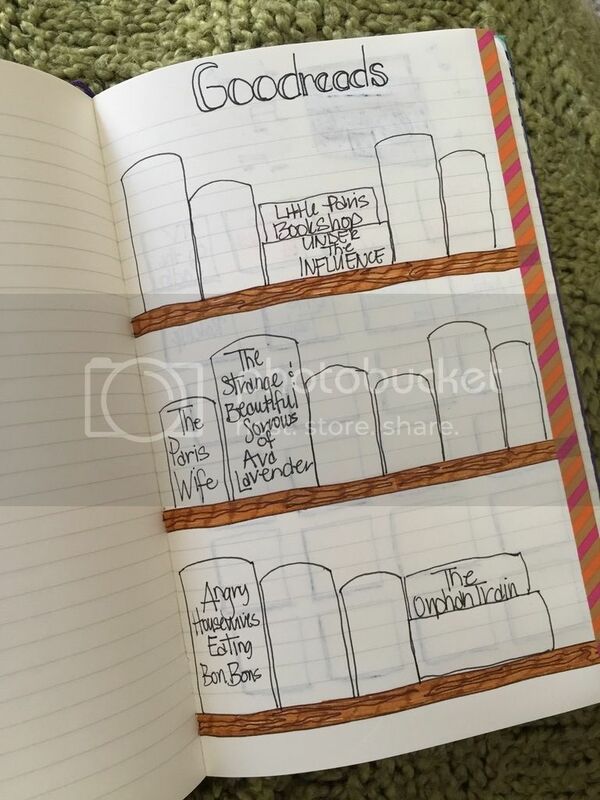 After I had those sections partitioned off, I was able to set up sections for the rest of my journal. The first section I labeled “Be Grateful”. The last few months have been a drain emotionally (i.e. I’m done dating indefinitely) but deep down I knew there were good things in my life that happened daily. I wanted to make sure I was honoring those moments and recognizing that I really do have a pretty awesome life, even on the bad days. 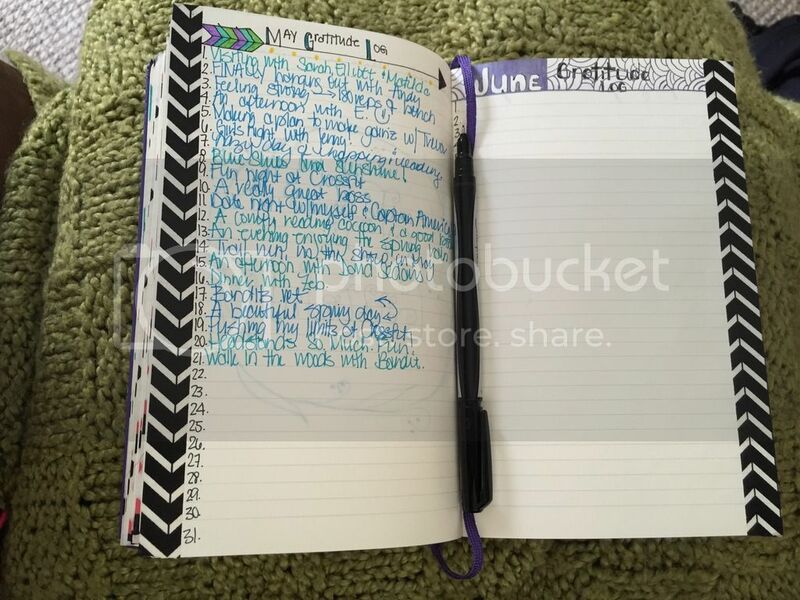 This section I have dedicated to a daily gratitude log where each day I write down one thing I am grateful for. 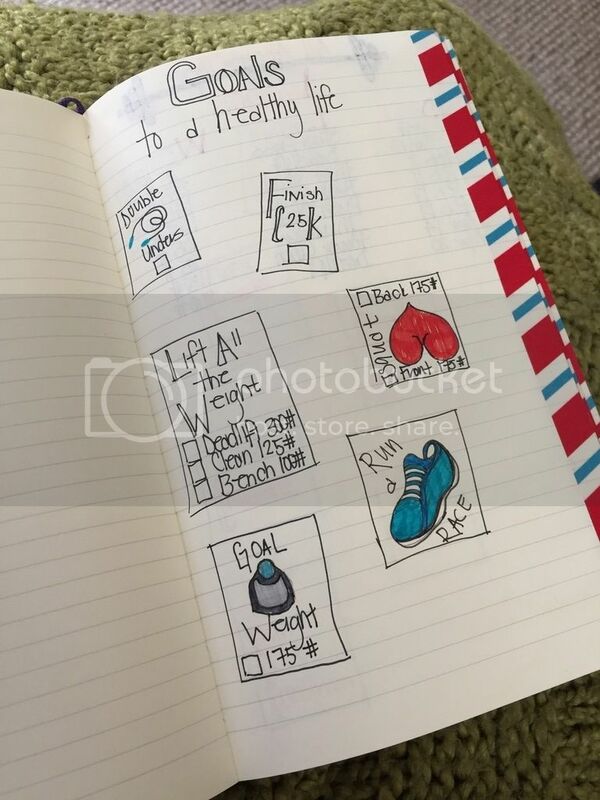 The next section is all about health and wellness. I have a page for my workout/health related goals (lifting goals, concur flippin’ double-unders, etc. 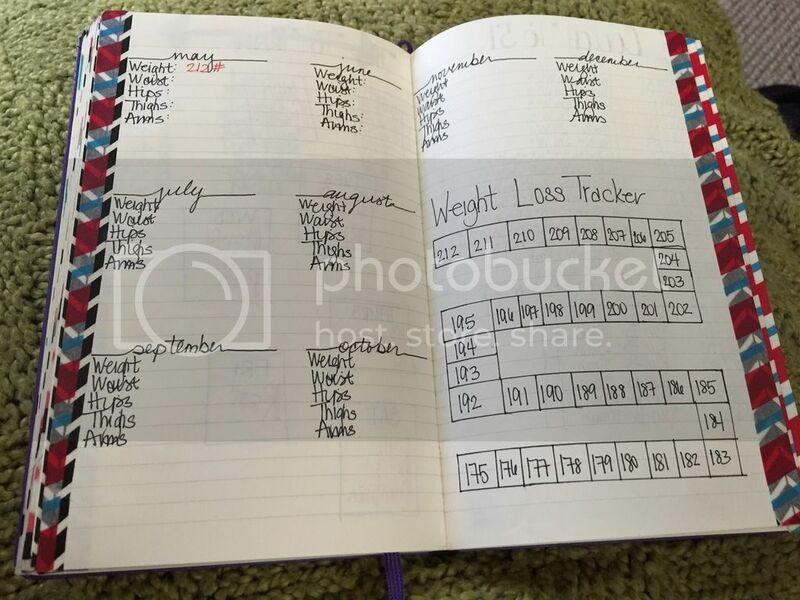 ), mood tracker, a place to write down my weight lifting PR’s, training schedule, body measurements and weight tracker and the C25K training plan I’m planning on using (more on that in another post). I’ve also left a couple blank pages in case something else comes along that I want to add later. I also have a section for the #DateYourselfChallenge I did with Veronica Grant. Even though it is technically saved on Facebook and on my Instagram feed, I wanted a place to write down what I did during the challenge to refer back to when I needed a little reminder. I started the section off by writing the Seven Cardinal Rules for Life. They are seven really great reminders for everyone and fit right in with the challenge. In June, I’m joining 2 really good friends for a weeklong vacation in Delaware (yes, Delaware) for the FireFly Music Festival. I’ve always said that when I go on vacation I want to write/journal about what we did and/or saw but never manage to actually do so. I am determined, however, to break that cycle and gave myself a section to write about the festival in my journal! I plan on writing down what bands we saw on a particular day, fun little tidbits about the festival and even use it to paste in little keepsakes (if there are any) from the trip. The rest of the journal is still a work in progress. I have a section for lists (blog ideas, books to read, music to check out), fun quotes I see or hear, random spots for doodle and other ideas. I’ve also left a pretty big section blank in case there is anything else I want to add down the road. I've been having a lot of fun setting up my journal and actually using it. It's definitely helping to get me somewhat on track of keeping everything in order and organized!